I feel really obliged to my friend and brother, Babu Siris Chandra Vasu, B. A., for the presentation of a copy of a Treatise on “The Philosophy and Science of Vedantic Raja Yoga,” edited by him. It is the reprint of a book which was first published about four years ago, and a notice of which will be found on page 147 of Vol. 1 of the Theosophist. At the time the curious autobiography of the author was published in these columns, his book was passing through the press; and although the account of the Swami’s (the author’s) life looked rather odd, and a trifle too fantastic, the Editor of the Theosophist naturally enough abstained from hazarding an opinion upon the merits of a work as yet unpublished. The neutral attitude has since been unfortunately misunderstood, one way or another; therefore, a few remarks on the book in its present form will not be uncalled for. An occultist who will have the patience to master this interminable sentence, need not be long in finding out that the author has used the word Jivatma in three different senses, namely, the animal soul, the human soul and the spiritual soul, or, the fourth, the fifth and the sixth (which is the vehicle of the seventh) principle. Atma—the seventh principle—is alipta, and can neither enjoy nor suffer. It is the fourth principle which generates the desire for material enjoyment and the human soul which takes delight in sensual pleasures, but at the same time its upper strata, in which is reflected the light of the sixth, try through its own inherent powers to bring the lower principles under subjection. Otherwise, it is inconceivable how a principle, or substance, which has been immersed in one sort of enjoyment or suffering, can of itself turn its course into another channel. It may be argued that, after all, these principles are but different manifestations of the same Paramatma, and hence might be all included under the heading of Jivatma. A little reflection will, however, show that position to be indefensible. For the variety in the manifestation of the same essence must be due to the difference in the vehicles of manifestation. If these vehicles be different, how can they be called by one common name? Nor does it require a very deep thinking to find out that it is the vehicles of manifestation that are named, for the manifested being one, is absolute existence and shows no different attributes. 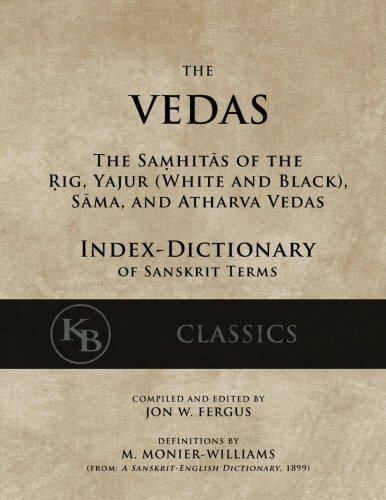 It is therefore a matter of great regret that all throughout the book the word Jivatma is used to denote so many different principles, and thus is sure to mislead the unwary reader. The second important point to be noticed is the fact that Asans, &c., are enjoined for the practice of Vedantic Raj Yoga. To an occultist it is of course evident that the author has adopted the technical terms of Hatha Yoga, which will disclose the real Raj Yoga system, only when esoterically interpreted. In one place a process is described for subjugating the twelve kingdoms, beginning with the lowest one, which is situate in the Kundalee. A student of psychology knows that the method refers to the imperfections of the flesh which are to be conquered one by one, beginning with the grossest. It is a matter, however, of great concern as to how many of the readers will feel disposed to give that attention to the work, which alone may, under favourable circumstances, lead them to a correct understanding of the underlying esoteric meaning—(I still persist in giving the author the benefit of the doubt, and feel ready to admit such a meaning in his work). Thirdly, the language put into the mouth of the Guroo is such as to confuse the reader greatly before he can find out whether by “preceptor” the Paramatma is meant, or—the author himself. These are among the chief peculiarities that permeate almost the whole of the Treatise; and hence it is very doubtful whether its perusal will do any good to the general public. For only those can understand it who have studied esoteric philosophy up to a certain point; and for them the work contains very little they do not know: while the ordinary reader will be misled by the exoteric phraseology adopted, and consequently find the Treatise positively misleading and harmful. However, the motives of the author and the editor being no doubt perfectly benevolent, it is hoped that these remarks may help to remove all grounds of apprehension in the future. The editorial notes and appendices added to the second edition are of a certain importance, and if properly understood, are calculated to throw light upon some of the most obscure passages in the text. They also help to a clearer understanding of the Adwaita Doctrine as propounded by Srimat Sankaracharya, which, unfortunately, the author puts in a very misleading form. The Editor is deserving of all praise and thanks for having, by his notes, attempted to rescue his reader, who, otherwise, would have been left hopelessly floundering in a sea of misconceptions. We would recommend the little Treatise to our students on account of its Appendix. We hope that they will carefully peruse it, for it does an infinite credit to the Editor. Since the above Review was in type, Mr. R. C. Bary, the publisher of the Treatise, has kindly sent a copy of the same to the Theosophist office. In the absence of the Editors from Madras, I beg to thank Mr. Bary on their behalf, for the pamphlet. 1. Edited by Babu Siris Chandra Vasu, B. A., F.T.S.